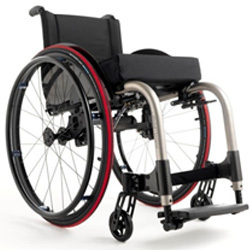 Foldable, yet with the stability and driving performance of a rigid wheelchair the champion is the ideal wheelchair for daily life as well as travel. 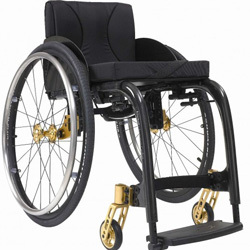 The Küschallchampion can easily be transported thanks to its unique folding mechanism which folds the chair to minimum size. Prices will vary according to options chosen.